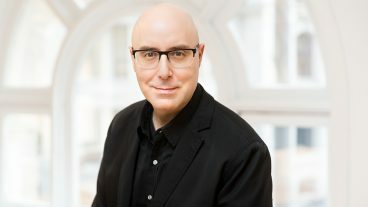 When brands like Google, Starbucks, Shopify, and GE want to use technology to better connect with their consumers, they call Mitch Joel. Every industry and business is dealing with disruption in different ways. They’re trying to figure out how to best innovate and transform in these times. This is where Mitch Joel fits in — he fills in the gaps and helps to build your business today for tomorrow. His style is big, engaging, entertaining, educating, and eyebrow-raising. Your audience will leave informed and ready to tackle the future today. Mitch Joel has been called “one of North America’s leading visionaries” and the “Rock Star of Digital Marketing” by Strategy Magazine. Forbes listed him as one of their “Speakers Worth Catching” and he has been named “One of the Top 100 Online Marketers in the World,” and was awarded the highly prestigious “Top 40 Under 40” award. Mitch speaks frequently to diverse groups like Walmart, Starbucks, Microsoft, Procter and Gamble, Twitter, Unilever, and every organization and association in between. Since 2005, he has given anywhere between 40-60 keynote presentations a year to small, medium, and large organizations in both the B2B and B2C space all over the world. 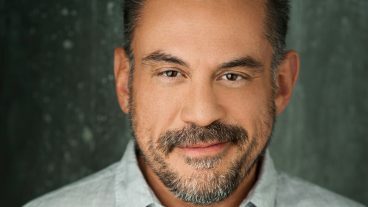 A bestselling author, Mitch’s first book, Six Pixels of Separation was named after his successful blog and podcast and is a business and marketing bestseller. His second book, CTRL ALT Delete, was named one of the best business books of 2013 by Amazon. Mitch Joel is the Founder of Six Pixels Group, an advisory, investing, and content producing company that focuses on commerce and innovation. Prior to Six Pixels Group, Mitch spent almost two decades as the President of Mirum, a global digital marketing agency operating in 25 countries with close to 3000 employees. Mitch recently sold Mirum to WPP. There are several new (and dramatic) realities that will force businesses to rethink many of their commonly held beliefs about what works in business today, and what the future may look like. This is less about the evolution of technology and much more about how consumers have become that much more efficient in this very different landscape. The result? Consumers have adopted technology in a way that has fundamentally changed how they buy and interact with businesses today. Bring an open mind, because the world continues to change and challenge brands like never before. The new leadership is being a digital leader. Is your business ready to disrupt disruption? Put aside the hype, what does Artificial Intelligence really mean for your business today? Quants, data scientists, algorithm overlords, AI trainers and machine learning engineers. These are just some of the people telling businesses today to embrace Artificial Intelligence. For business leaders, it’s confusing, a massive investment and highly speculative. What is the current and future potential for AI, machine learning, cognitive computing and more? In this highly visual and straight-forward presentation, you will learn (from a non-technologist) the true business applications and opportunities that companies are using to grow marketshare and do more with less. How the Direct To Consumer brands disrupt, build and conquer the marketplace, how every company can take advantage of it. What do billion dollar companies like Kylie Cosmetics and Dollar Shave Club know that Starbucks and Walmart did not? These startups quickly disrupted industries that took their competitors decades to decode. This new breed of Direct to Consumer brands has changed the dynamics of business today, with over $1 trillion in GDP contribution already. What are these companies doing that is so disruptive? Here’s what you need to know today about the power of direct to consumer brands, how to build one and/or how to act like one. DTC brands leverage their true purpose, technology, data, content, and speed to market in astonishing ways. Now, you can too. Brace for impact. First ads, now content. What does your business need to know? Most brands and individuals fail at content marketing to build their thought leadership and direct response strategies because they are chasing content formats that don’t fit their brand experience — or they don’t know where to start. Mitch Joel has created a simple and practical strategy to help your business define its true “content centre of excellence”. Mitch will share this simple and fast process so that your business can figure out what your true centre of excellence is for content. Why do this? Focus, growth, sales, customer loyalty, better consumer experiences, and really getting your ideas to spread. Your brand must ensure that whatever messaging is produced, published, and promoted ties back (as closely as possible) to your content centre of excellence. How voice assistants and smart audio will control technology, change your business and change our lives forever. Welcome to the no touch world. Forget typing (with keyboards, on glass, with fingers and thumbs). We can (and we will) control everything with our voice. 100 million smart speakers will be in homes and businesses in the coming year. Close to 30% of smart speaker owners buy things with them. These devices have close to an 85% approval rating from consumers. Right now, Amazon smart speakers (not including Google or Apple) already reach 15% of US homes. This technology is scaling at a massive pace, and the implication for your business is staggering. Understanding and mastering voice is as important today as a website and strong search engine placement was 15 years ago (and still is). What is your brand voice? What is your voice strategy? Star Trek for some… a massive business opportunity for all. Rising from the obscurity of science fiction and the novelty of first-generation experiments, a new batch of augmented reality (AR) and virtual reality (VR) technology shows promise to take the immersive consumer experience to unprecedented heights. From fashion runways to hospitals and beyond, consumers will be more deeply connected to brand experiences through real three-dimensional environments. This presentation explores the sophisticated capabilities and applications of AR/VR as they transform the way businesses will touch and sell to their customers. This high-impact presentation will feature some of the most forward-thinking insights of what is predicted to be a $120 billion market by 2020, and how brands and consumers will play significant, collaborative roles in leveraging and shaping the technology. Augmented reality and virtual reality are the next platforms we will use, and sometime soon, we will all agree that this is the ideal brand experience. There are five movements that have changed business forever and yet, the vast majority of brands are doing little to nothing about it. The next five years of business will be about the convergence of these five major movements, which will require companies to adapt like never before. Transform or die? Some will struggle with this shift while others will simply roll along as the adoption incurs. The trick is in capitalizing on this moment in time, understanding these movements, and being ready for your future — a future that will move at a much quicker and real-time pace. What you do with this moment will be telling. It will also set the pace for everything that flows out of your brand for the next decade. Are you ready for a reboot? In Ctrl Alt Delete, Joel explains the convergence of five key movements that have changed business forever. The movements have already taken place, but few businesses have acted on them. He outlines what you need to know to adapt right now. He also points to the seven triggers that will help you take advantage of these game-changing factors to keep you employable as this new world of business unfolds. Along the way, Joel introduces his novel concept of “squiggle” which explains how you can learn to adapt your personal approach to your career, as new technology becomes the norm. The truth is, we no longer live in a world of six degrees of separation. In fact, we’re now down to only six pixels of separation. It’s not a question of whether or not you are connected: we’re all connected, and this changes everything we know about business and how to increase our sales and visibility in the marketplace. Six Pixels Of Separation is the first book that speaks to business executives on the powerful concepts of digital marketing, social media, personal branding, and entrepreneurship in a clear, real, and instructive manner that business people can understand and apply. We have been inviting Mitch to present to our top clients and internal teams for close to ten years. His material is always fresh and cutting edge. As you can imagine, Google has a constant flow of speakers coming in and out of our global doors, Mitch’s ratings are always through the roof. He’s one of our top-rated speakers, because he delivers actionable content with amazing visuals and stories. He’s become a true friend to Google and has helped out our B2B and B2C clients all over the world. We were supposed to move right into the next section of our meeting, but you blew up the room (in a good way). People asked for a ten-minute break to pull themselves together! Starbucks’ marketing team often invites inspirational leaders and subject-matter experts to come in and share their thoughts, insights, and ideas on how we can continue to connect with our consumers in a meaningful way, and Mitch Joel is one of the best speakers we’ve seen. Mitch brings a terrific perspective on new marketing and branding channels that could help any organization engage their consumers, and our marketing team was extremely impressed by his extensive knowledge, entertaining delivery, and obvious passion for what he does. We would highly recommend Mitch as a speaker for any sized event, especially if you’re interested in learning not only what works in marketing today, but also what’s going to work tomorrow. I am constantly trying to better understand how innovation, technology and marketing can help us be better — do more and do it faster. As such, I often host events for the tech community and our team members here at Shopify Headquarters. Mitch Joel is one of the best speakers we have had. Deep insights, packed with real and tangible skills that we all can use to become better business people. I can’t recommend him enough. I love Mitch! Whether it’s the National Retail Federation’s Big Show stage or a Shop.org keynote, Mitch Joel always delivers. We consistently get incredible audience feedback on how relevant, timely, inspiring, and actionable his content is. Whether you need him to open an event as the morning keynote, wake an audience up in the sometimes dreaded after-lunch slot, or as your perfect closing keynote, Mitch will nail it each and every time. If you’re looking for someone to passionately deliver content about innovation, consumer behavior, and marketing, look no further. He also happens to be wonderful to work with, is always interested in hearing about your audience breakdown to customize the content, and is a rare, humble, and authentic leader. I’m proud to know Mitch and call him a friend, and I am even luckier to have him on my go-to speaker list for top notch show education for the retail industry. Mitch Joel’s presentation helped us to see that we needed to change the paradigm of how we interact with our customers. His ideas and insights have led us to new concepts in the development of our brands. We had really great feedback on [Mitch’s] talk, spanning both our participants and our leadership team. Our teams all have rather high expectations for events like this — and you surpassed them. Mitch brings a musician’s timing and keen instincts to hold an audience mesmerized as he opens up their minds to where brands, marketing, and technology are going today. He was one of our top-rated keynote speakers at the BRITE conference, after 9 years in New York. I highly recommend him for any business event and audience! Mitch Joel thinks big. But he makes his bigger concepts feel accessible, which is a gift of any true teacher. Mitch is simply one of the best presenters I’ve ever hired — which is why I hire him again and again and again! For the past five years we’ve consistently invited Mitch Joel to speak at Content Marketing World. Mitch delivers every time and always scores among the highest of our 200+ speakers every year. Always compelling, inspiring, and actionable. As long as we have an in-person event, Mitch will be invited to speak. We have had the opportunity to work with hundreds of world-class speakers, and Mitch Joel is definitely at the top of this list. Fascinating content. Dynamic delivery. Above all, Mitch is just a great person to work with. Whether it’s The Art of Marketing, The Art of Sales, The Art of Leadership or some of our other day-long programs, Mitch always makes his content relevant to our audiences. Mitch Joel is one of CMA’s highest rated speakers. A dynamic and inspiring speaker, Mitch consistently delivers high-energy presentations with cutting-edge information that his audience can use! Mitch Joel is one of the very best in the business marketing world. When he walks on stage, the audience quickly slides to the edges of their seats. Not only did Mitch deliver what he promised when I asked him to join us as the closing keynote at nextMEDIA, he was also an incredibly supportive partner both before and after the event.